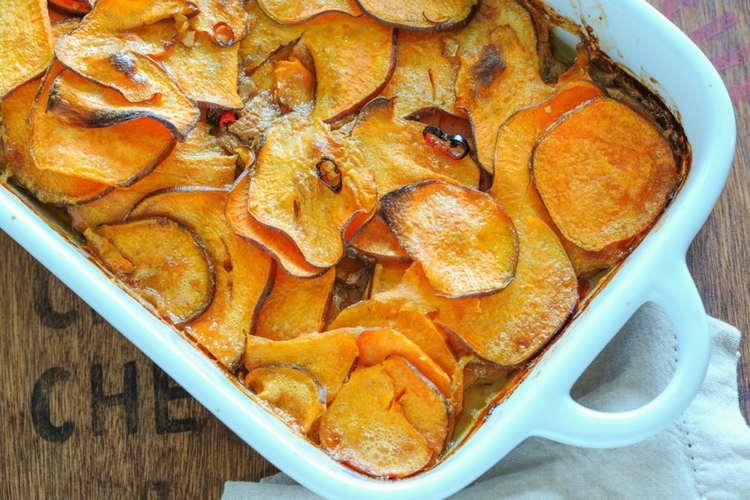 It’s all too easy to feel a little… out of sorts in the colder months, which is why this adzuki bean and sweet potato bake is so good for you at this time of year. Vata dominates our being, creating too much dryness, roughness and airiness if we’re not careful to balance it. Being out of balance may cause us to feel anxious, full of mood swings and out of control of our lives. If you’re feeling like this, it’s time to focus on looking after yourself, it’s time to become grounded. Help maintain a normal blood sugar level. Packed with antioxidants (perfect for disease fighting). High protein content, so great for plant-based athletes. Improve heart health with their high concentrations of dietary fibre, folate, potassium, magnesium and B vitamins. High fibre = healthy weight management due to faster satiation. Heat the oil in a saucepan. Add the onion, carrot, garlic and chilli flakes. Cook until the onion becomes translucent. Add the red wine vinegar and cook over a high heat until it evaporates. Reduce the heat and add the grated ginger, followed by the tomato purée, coconut milk, peas and stock cube. Simmer until the vegetables are soft. 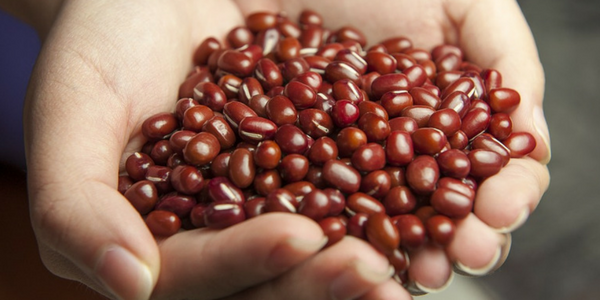 Drain and rinse the adzuki beans and add to the saucepan, along with the miso paste and yeast extract. Simmer gently for 10 minutes and transfer to a casserole dish. In a mixing bowl, stir the sweet potato slices with a little olive oil, grated ginger, chilli flakes and salt. 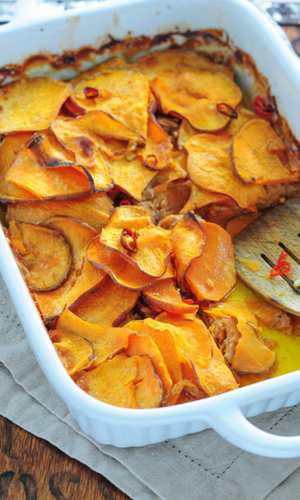 Line the top of the casserole with the sweet potato slices, overlapping where necessary. Cover with foil and bake for 30 minutes. Remove the foil and bake for a further 20 minutes until crispy and golden. If you would like to sample our recipes then join us on any of our UK Retreats or Yoga Holidays Abroad – we are a vegetarian yoga holiday company and we specialise in all diets, so you will eat this type of food each meal. YUM!